Our patients love our atmosphere and team! When you walk into McAvoy Chiropractic, LLC, there’s music playing, snacks available and people of all ages around. You’ll feel genuinely cared for and listened to here. We’re far from a cold or clinical office. You’re welcome to bring your children in with you. Our staff can look after your kids while you’re being seen by your chiropractor. Your first appointment will take about an hour. You’ll sit down with your chiropractor to talk about your health history, current complaint and any other relevant information. Then, we’ll move onto a full orthopedic and neurological examination. If needed, X-rays can be taken on-site. Your chiropractor will be with you each step of the way. If you’re in acute pain, we may adjust you on your first visit. We’d usually prefer to take the time to review your examination findings, then schedule you back for a return visit. 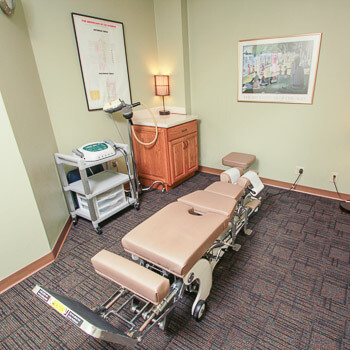 Your chiropractor will be ready to review the results of your examination. We’ll detail what can be seen on your X-rays, if taken, and answer any questions you have. You’ll also receive a chiropractic adjustment and be on your way in 45-60 minutes. 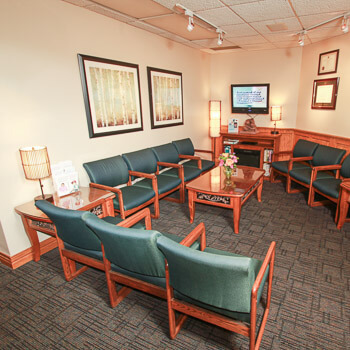 At your regular visits, you’ll receive any necessary therapy and an adjustment, taking a total of about 30 minutes. Once you’ve worked through the first phase of care and your symptoms are reduced, we’ll do a re-exam and give you a progress report. Our chiropractors will recommend exercises and give any other instructions that may help you, such as ergonomics. 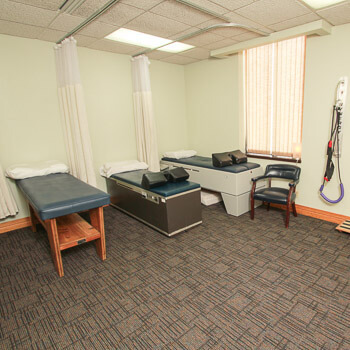 Contact us today to schedule a time to improve your health!